Why should I bother with leather care products? What types of leather can I use it on? Will it darken the leather? How long will it last before it needs to be applied again? How long will it waterproof leather? 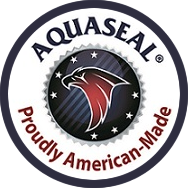 How do AQUASEAL FOR LEATHER and MAX LEATHER CARE products condition and waterproof at the same time? Can I use it on leather furniture? Leather clothes? Does it allow the leather to breathe? What’s the best for hot dry climates? Can I polish right over AQUASEAL? Is it safe to use on Gore-Tex® footwear? Are there any chemicals in it that aren’t good for skin? There’s a very simple answer to this question. Leather is skin and like your own, it needs care and protection. Unlike your skin – which is alive and receives nourishment from the body – footwear leather only receives the nourishment you give it. It can easily dry out, over-absorb water, and fail. It’s smart to invest a small amount of money and effort to get the very best comfort and satisfaction from your leather boots and shoes. You’ll look and feel better, and your footwear lasts longer. And who doesn’t like saving money? Use SMOOTH LEATHER CLEANER on smooth and grained leathers. Use FOR LEATHER Crème, FOR LEATHER Pump and MAX LEATHER CARE to nourish and waterproof smooth leathers. FOR BLACK LEATHER was specially formulated for black smooth leathers. FOR SUEDE & NUBUCK was developed for napped leathers. Yes, the rich oils used to nourish and waterproof leather will tend to darken it. Test in a small, hidden area first (on the tongue under the lacing is a good spot). It depends on wearing frequency, and what the leather is exposed to environmentally. Heat, moisture, wind and direct sunlight – is very tough on leather. Hot, sunny climate of the Sun Belt… rainy Northwest weather… snowy climes of the Midwest and Northeast… Southern winds. The more your job and leisure-time interests have leather exposed to these weather elements, the more vulnerable they are. Your leather will “tell you” when it needs more AQUASEAL. Its surface should have a rich sheen with water beading-up and rolling off its surface. When it looks “tired” and wet, it’s time to be conditioned and waterproofed. It all depends on what climate it’s exposed to, then the amount of usage while in it. Think about this, the U.S. Center for Disease Control reports the average adult takes about 5,900 steps daily. That’s 5,900 leather flexes every day. The waterproofing silicone oils (as well as condition agents) are literally walked-out of the leather over time. They need to be replenished. The leather will “tell you” when it needs your AQUASEAL attention. When leather looks wet, and water isn’t beading up on its surface, it’s time for AQUASEAL deployment. How do the AQUASEAL FOR LEATHER and MAX LEATHER CARE products condition and waterproof at the same time? One of the key reasons AQUASEAL became famous was that its uncommon leather care formula conditioned, maintained, revived and waterproofed leather all-at-once. Founder Ralph O’Quinn discovered and developed a formula and process that nourishes (conditioning agents) and waterproofs (high density silicone oil). These components are highly effective in “feeding,” restoring and waterproofing leather. AQUASEAL was specifically formulated to condition and preserve footwear leather. Leather used for furniture and clothing use different leather tanning methods and coatings. If you decide to use it on these leathers, it is suggested you try it on a small hidden area, as AQUASEAL will likely darken it. Yes. In fact, the One-Two AQUASEAL®WAY will improve leather’s breathability as it ages. With step one, the Cleaner removes grime and contaminants that restrict breathability by clogging leather pores. Applying step two (FOR LEATHER and MAX LEATHER CARE) the oils penetrate into the crisscross leather fibers to lubricate and waterproof them. The leather pores remain open for internal foot climate comfort. What’s the best for hot, dry climates? For any climate, usage of AQUASEAL LEATHER CLEANER is an important 1st step. Dry, hot climates rob leather of the moisture it must have to remain pliable – to bend, stretch and compress with each step taken. This flexibility is essential to the comfort experienced while boots and shoes are in-action. Once leather is deprived of its original lubricating oils, dry rot happens and the leather needs replacement. Application of FOR LEATHER and MAX LEATHER CARE crèmes and lotions add back the essential conditioning and protecting oils to the fibrous interweave of parched leather. The conditioning agent rehydrates it; the silicone oil allows this hydration to last longer. AQUASEAL products don’t plug leather pores if used as directed. With permission from W.L. Gore & Associates – AQUASEAL is safe on Gore-Tex® footwear. Yes. AQUASEAL penetrates into the microscopic crisscross leather fibers. As needed, polish can be applied over it. Are there any chemicals in it not good for skin? AQUASEAL products are user safe. For almost 40 years millions have made AQUASEAL part of their regular footwear leather care routine. For any other questions, we’d be happy to promptly address them. Click here to take you to our convenient Contact Us page.